Please do not hesitate to contact via phone or email if we haven't addressed your concerns! Yes, we still sail in the rain. In fact, some of our best adventures have been in the rain! However, if we have heavy rain with strong winds, we may cancel. As safety is our number one priority, the sail will also be canceled if there is lightning. Of course, your deposit is fully refundable if we do cancel. We will endeavor to contact you with as much notice as possible in the event of inclement weather. Do the children need to wear life jackets? Our vessel and crew are inspected and certified by Transport Canada. The wearing of life jackets is not mandatory due to the vessel design; however, if you or your child would feel more comfortable wearing a life jacket, simply advise the crew and one will be supplied. 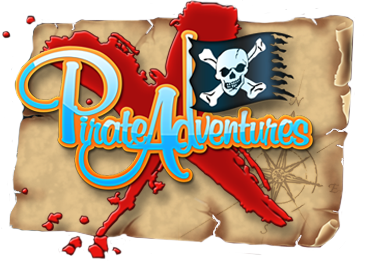 The adventure on the boat is 75 minutes long; however, you should arrive a 1/2 hour before departure to get dressed up as a pirate, have your face painted, and receive your pirate name tag. It's best to estimate at least two hours for this activity. Do adults accompany the children on the boat? Children under five should be accompanied by a caregiver, and we strongly recommend that parents or grandparents join the adventure. This is a great opportunity to experience the joys of childhood as we tap into your child's imagination. Arrgh, if we could only capture these special moments and be able to draw upon them on rainy days! Which age group is the adventure intended for? The easy answer is "all ages"; however, children between 3 and 12 seem the most eager to really get involved with the theatrics. Parents, this adventure is as much for you as it is your children, so we expect full participation! In the past, we have hosted birthday parties for 50-year olds. Often the pirate grandmas have just as much fun, if not more, than the wee ones! We will also be hosting adult evening sails where the storyline is geared towards an adult audience. 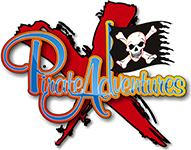 Regardless of your age, our pirate crew is trained to ensure that everyone is engaged. Are there washroom facilities on the boat? Yes — however there are facilities located on site as well as in the surrounding area. The trip is 75 minutes long, so passengers are advised to make sure that their children visit the bathroom before boarding. Yes. The vessel accommodates 42 paying passengers, and the complete adult packages have a maximum of 36 guests. Can we bring our own costumes and camera? Yes certainly; however, we provide face painting, vests, sashes, and headbands (and of course, pirate name tags) as part of your ticket price. By all means, bring your camera. Mildly. This is largely dependent on weather. There is water used in the performance but "splash-back" is normally minimal. On hot days you may want to avoid, or throw yourself at, Pirate Pete's water gun. Can I bring my stroller on board?